In 2017, you can explore the Museum of Islamic Art in Qatar, the British Museum in London or even the Metropolitan Museum of Art in New York at the click of a link. 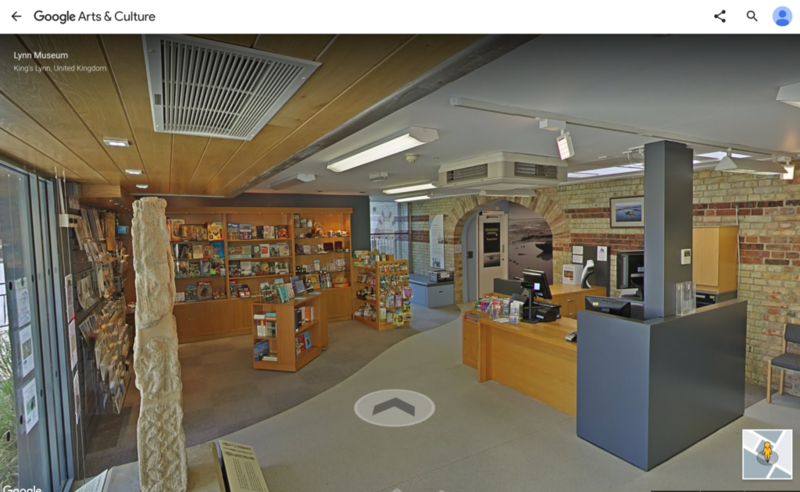 And you can now even explore the Lynn Museum in Norfolk, England, thanks to a new partnership with the Google Cultural Institute. The partnership enables new audiences to access the museum’s collections and is thanks to the Google Cultural Institute’s Google Art Project which launched in 2011. The Institute presents itself as a platform from which the public can access artworks and collections from around the world in detail. The Art Project incorporates Google’s Street View technology, enabling users to visit these institutions through a 3D digital reproduction of these physical spaces. The traditional museum presents artifacts and artworks to the public so that they may understand these objects within a setting that provides historical and cultural context to further visitor’s knowledge. Then online museums were designed to reach a larger number of people and motivate physical visits to museums, informing potential visitors who were planning their visits. They also intended to encourage the research and personal interests of visitors through collection information as well as assist school visits and research for students. But within the traditional physical museums, artifacts are often regarded as passive since they are positioned so that people can see these objects but cannot interact with them. Older generations are accustomed to this practice; however, potential younger visitors now desire more stimulating experiences. Thanks to developments in digital technology like the Google Cultural Institute’s Art Project, we now we have virtual museums. And these virtual museums are enabling visitors from around the globe to view iconic masterpieces without having to physically visit the institutions which house these collections. What’s more, they’re enabling cultural institutions to create virtual experiences wherein they can potentially extend the period of an exhibition, provide greater detail of objects as well as present objects which may usually be kept away from the public eye in storage due to conservation purposes. Within these digital spaces visitors can browse virtual artworks and objects by ‘walking’ along the room through clicking hyperlinks. Through these interactive elements visitors can also access more information regarding the content of these virtual museums. Connecting these virtual museums with social media also provides museums with another dimension of connecting with their audiences as well as encouraging new audiences to engage, without the commitment of physically visiting. Rijksstudio, the Rijksmuseum’s online digital platform presents over 150,000 digitized artworks which visitors of the website can ‘favourite’ and then add to their personal collections. 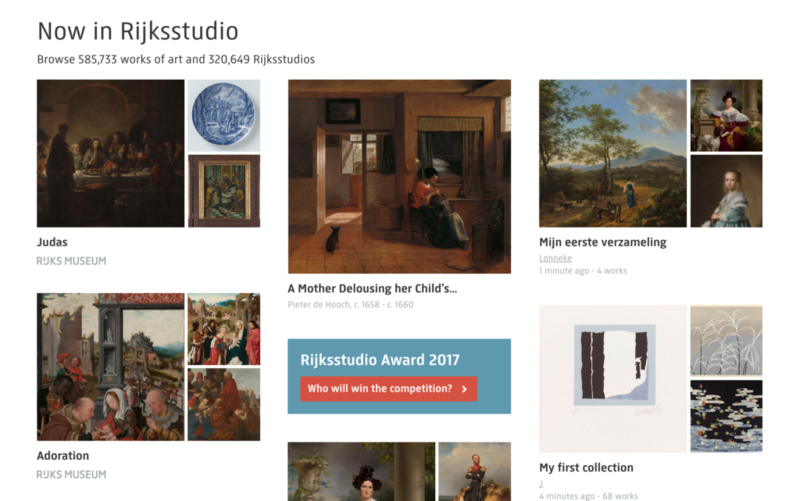 The Rijksstudio’s ‘favourite’ button replicates the bookmarking tool of the social media platform Pinterest, where users can ‘like’ and ‘pin’ images into their own personal collections. The site offers a simple interface wherein visitors can develop their own collections, foster new interpretations of these artworks and share these collections with their friends through social media. The reproduction of art through virtual museums is not replacing the art featured in galleries or museums but rather is complimentary to it. 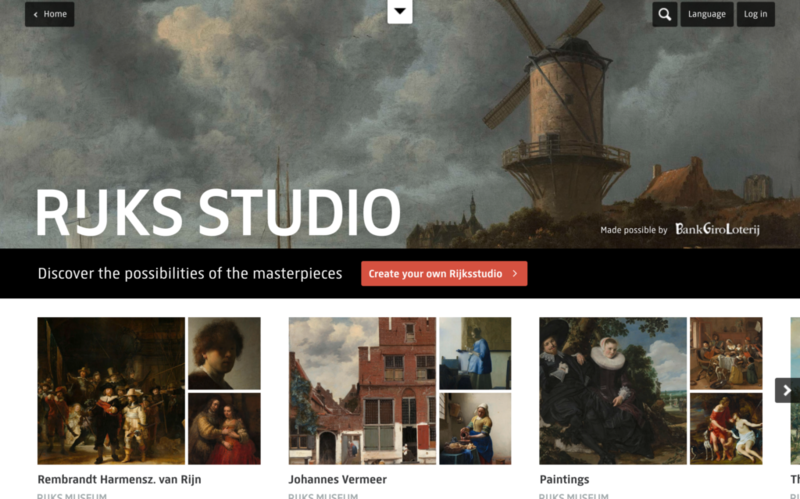 Virtual museums like Rijksstudio provide constructivist learning environments, allowing visitors to choose what they want to study. The engagement of virtual museums allows users and visitors to develop their own interpretations of artworks and objects, and their interpretations remain shaped by the information provided by curators. However, “visitors” can study without time constraint or the distraction of crowded exhibition spaces. They also provide 24/7 access to collections as well as non-linear visits, allowing users of these online spaces to follow their own interests in terms of history and collections. The virtual museum is not just a storehouse for digitized collections. Rather, it provides a community of activity and social dialogue. Despite concerns that online spaces can cause social isolation, virtual museums endeavor to enable visitors to share their experiences through social media platforms and through their own personal collections. Finally, whilst museum professionals feel that their positions and institutions are threatened by the developments of virtual museums, they should view these designs as complimentary to their physical buildings. The next generation of virtual online museums are entirely immersive environments that place the visitors in a replica of a museum, through such technology as virtual reality headsets. Again, this is offering those who physically cannot visit a museum the opportunity to experience that museum. Virtual museums provide another dimension for museums and art galleries to present their knowledge and collections, securing the position of these cultural institutions for future generations – generations who will look for instant gratification, access and interactive experiences. Olivia Mullen <Liv> runs Liv Muses: A Museum Blog and completed her postgraduate studies in Art Gallery & Museum Studies at the University of Manchester. She’s an advocate for museums and culture, as well as the use of social and digital media within the heritage sector. You can connect with Liv here.